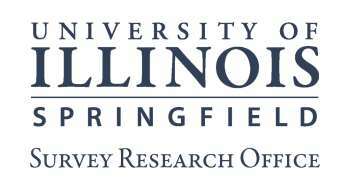 The 2015 Sangamon County Citizen Survey, a collaborative project between the University of Illinois Springfield’s Center for State Policy and Leadership, the United Way of Central Illinois, and the Community Foundation for the Land of Lincoln, shows ninety-six percent of respondents report having health insurance. That is an increase of almost seven percentage points from the 2013 survey. The telephone survey of landline and cell phone numbers is conducted every two years in order to assess the quality of life in Sangamon County. The survey included several questions examining the health of residents. On all health measures, the respondents report better health outcomes than they did two years. In addition to a higher percentage of residents reporting being covered by some form of health insurance, the percent of individuals who report having poor physical or mental health has also decreased. “The 2015 survey also found an increase in the number of residents who report having a primary care provider. Having access to health insurance and primary care could easily translate into a decrease in the number of poor health days, as demonstrated in the survey results,” said Ashley Kirzinger, director of the UIS Survey Research Office. The survey is representative of Sangamon County, Illinois and the data was weighted for probability sampling and to match the most recent population estimates as provided by the U.S. Census Bureau. The results are based on 576 completed interviews with 68% of the interviews completed on cell phones. The overall response rate for the survey is 13.2%, the cooperation rate is 23.2%, and the margin of error is +/- 4.08 percentage points.